Kennel v Tannenmeise is owned bij a Dutch breeder, Ger Verhey, and was very successful in the eighties with a Junghund Siegerin and a sister on the 3rd place on the HZS in 1983. 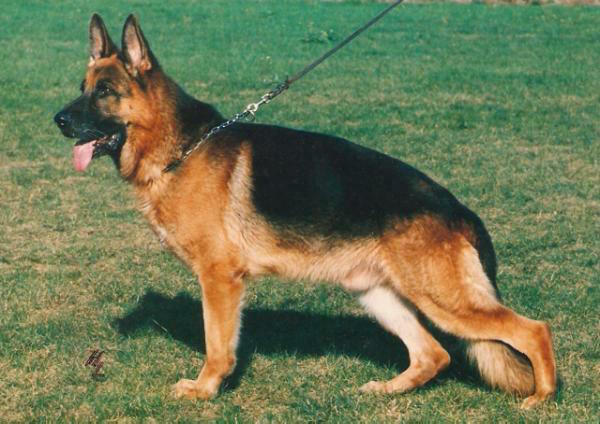 Odin was a beautiful dog, became Junghund Sieger and V-auslese a few years later and was a son of the 3rd placed Hasel v Tannenmeise. The success of the v Tannenmeise kennel was very remarkable because they breeded only one litter yearly. Gert and his wife didn't want to become breeders only for the money, they had/have very strong principles about that. Love for the breed can be expressed without breeding 10 - 20 or more litters each year. To my knowledge they stopped with breeding about 15 years ago. which kennel is this.I have grandson of this dog.